This chapter maps public funding for film in the UK and explores some of the contradictions between stated policy aims and outcomes, particularly on the issue of “creative labour”. Via the now well-established and relatively substantial public funding systems for film production that exist in the UK, considerable public funds are directed towards transnational corporate interests and their national partners, a policy approach that we call “a corporate welfare system” for the UK film industry. This system has had considerable success on its own terms, leveraging massive investment into UK film infrastructure, and has provided a blueprint for the economic development of other creative industries. However, it has also hindered wider policy commitments towards diversity and equality in the film workforce. It is argued that policy objectives to improve opportunities for underrepresented groups such as women, ethnic minorities, disabled people and people of working class origin are unlikely to be successful unless more direct interventions can be developed. Part of the research upon which this chapter is based was conducted in collaboration with Chris Larkin and William Green at the University Leicester for the Creative Industries , Diversity and Austerity (CIDA) Project. 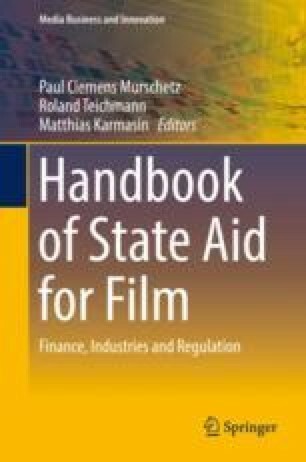 The chapter also draws on research conducted in collaboration with Andrew Spicer and Auden Engelstad for Success in the European Film and Television Industries (SiFTI), a comparative study of four European countries funded by the Norwegian Research Council (2013–2016).